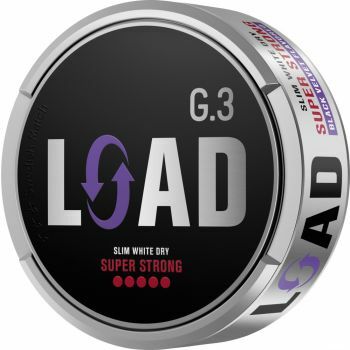 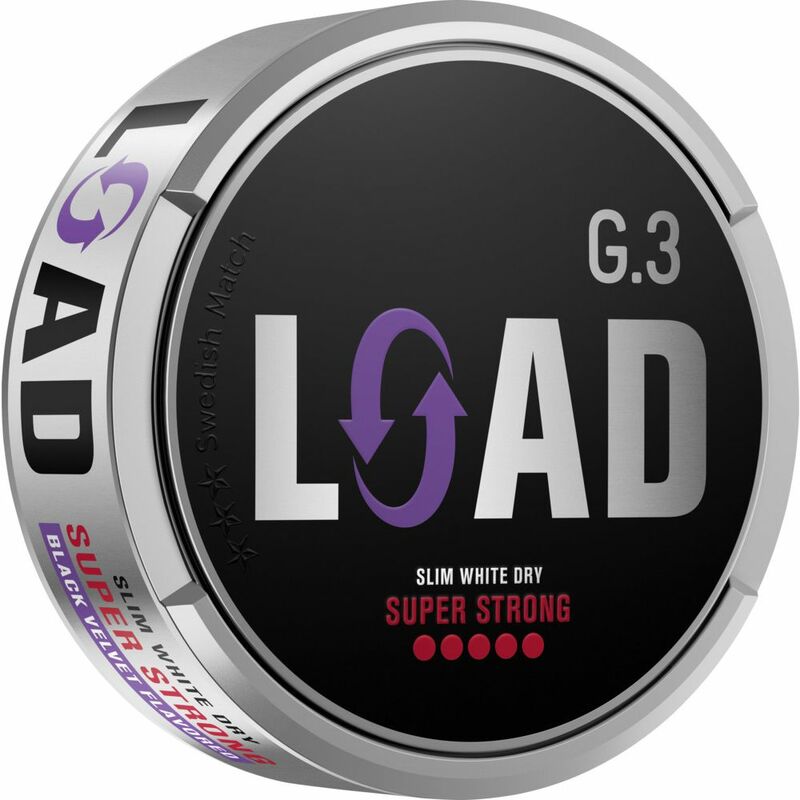 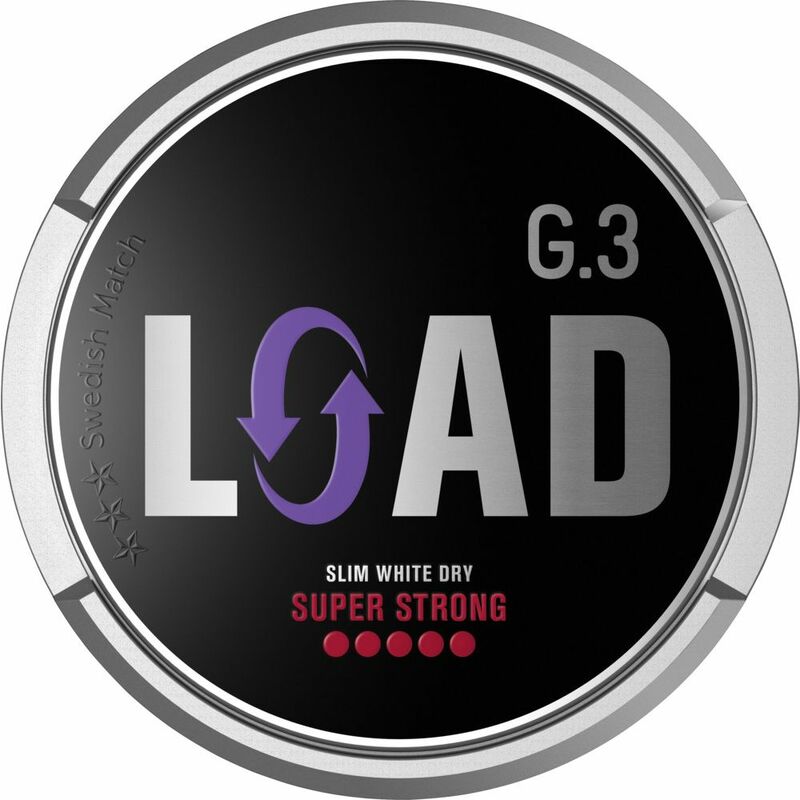 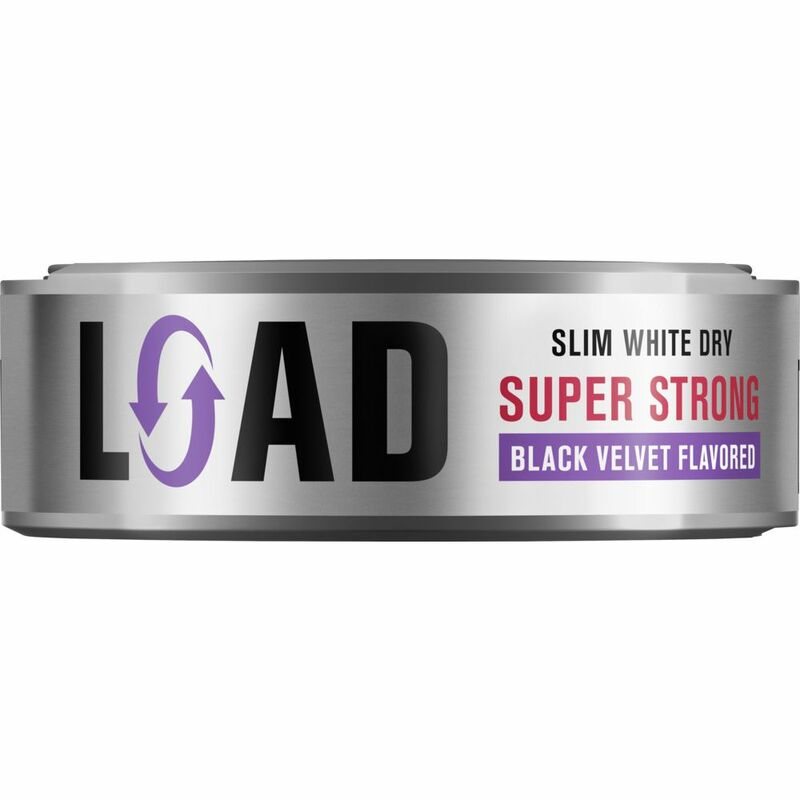 G.3 LOAD contains 30% more nicotine compared to G.3 Extra Strong, which together with the Slim White Dry format - with 20% less moisture release than the Slim White format G.3 - makes the product SUPER STRONG. 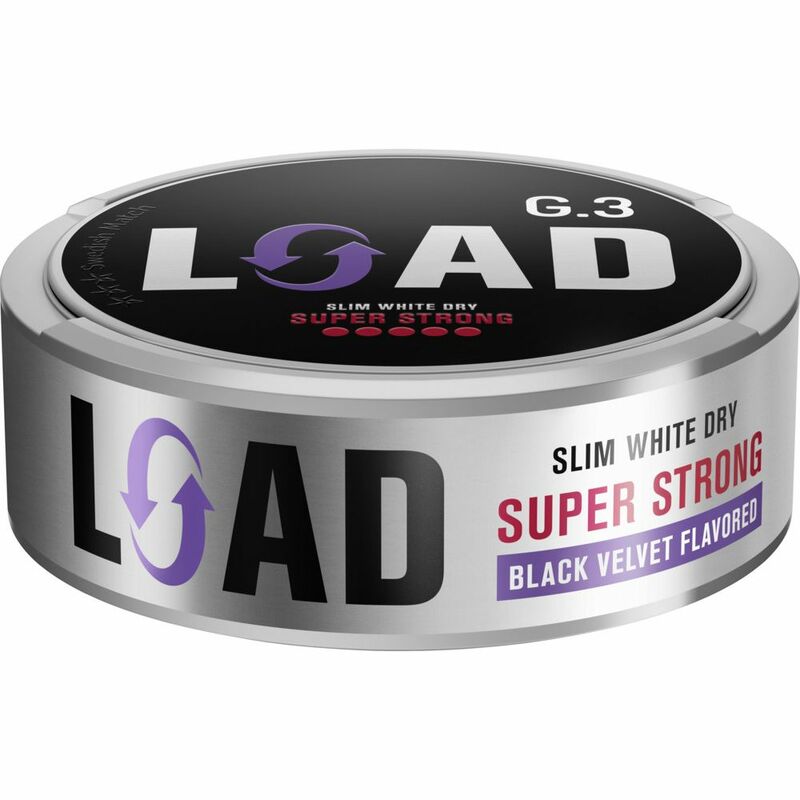 The snus has a light and spicy tobacco character with elements of licorice and eucalyptus, as well as anise, cocoa and honey. 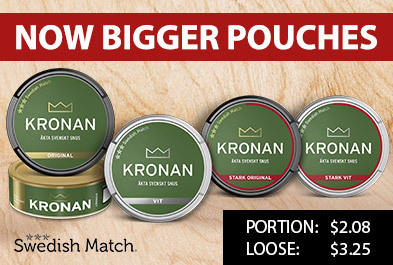 Combined with 30% more nicotine and 20% less moister release, the snus creates a long-lasting burning effect, a spicy and biting feeling under the lip.